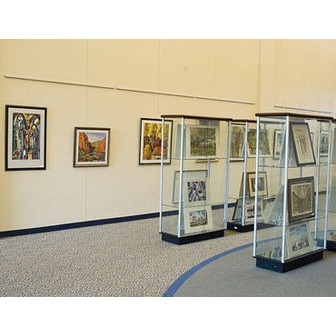 Dr. Richard Wood, Dean of University Libraries, began exhibiting art in the University Library in March 2003 when an addition to the original facility was completed. The first show featured photography of Joaquin Holloway, a retired library faculty member, as well as student work by Susan Hales and Theresa Lepre. Since then, the University Library has exhibited the works of over 100 artists. The University Library is home to two unique art galleries and many works of art donated by artists, photographers, collectors, and others. 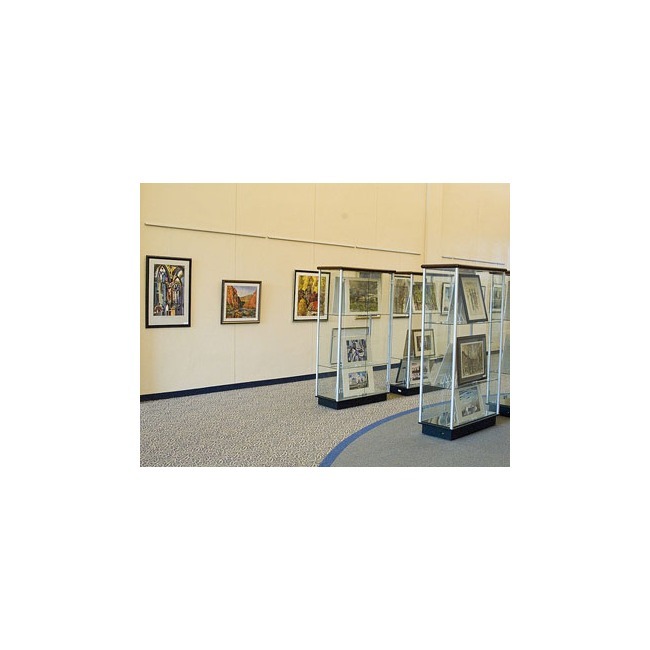 The Mary Elizabeth and Charles Bernard Rodning Gallery of Art, located on the third floor, is a bright, open area with ample wall space and 12 modern display cases. The first floor gallery is located in the hallway near the circulation desk. Watercolors, oils, acrylics, etchings, engravings, or multimedia works by local and regional artists, including children's art, might be on exhibit at any one time. The galleries are open to the public whenever the University Library is open (see our website for hours). There is no entrance fee to view any art show or display. In addition, the University Library owns many works of art which have been donated by art collectors, artists, or others; they may be found throughout the library. Click on Permanent Collection to view some of these gifts of art.